The first agreement between the United States and the Democratic People’s Republic of Korea (DPRK) aimed at limiting North Korea’s nuclear program was the Agreed Framework, concluded in 1994. The Agreed Framework aimed at freezing the DPRK’s indigenous nuclear power plant development and stopping its plutonium enrichment program. The Korean Peninsula Energy Development Organization (KEDO) was founded in 1995 by the United States, Japan and South Korea to implement the Agreed Framework. KEDO’s principal activity was to construct two light water nuclear reactors in North Korea to replace planned DPRK reactors. Light water reactors are considered more “proliferation-resistant” than other types of reactors because reprocessing spent nuclear fuel from a light water reactor is more difficult and expensive than with other reactors. KEDO was also to fund the supply of heavy fuel oil to North Korea to make up for the lost energy production from two nuclear plants the DPRK agreed not to build. Born and raised in Michigan and educated at Dartmouth, Stephen Bosworth joined the Foreign Service in 1961. 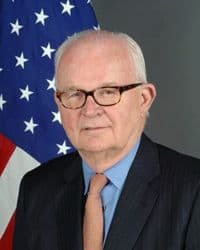 Prior to serving with KEDO, he had served as Deputy Assistant Secretary for Fuels and Energy, Principal Deputy Assistant Secretary for Western Hemisphere Affairs, Ambassador to Tunisia and Ambassador to the Philippines. After KEDO, he was Ambassador to South Korea. 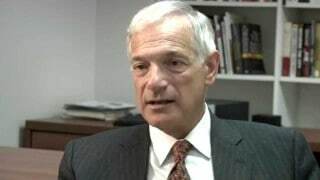 After Bosworth died on January 4, 2016, Secretary of State John F. Kerry described him as “one of our nation’s most capable and admired diplomats.” He was interviewed by Michael Mahoney in 2003. To read more about Korea and North Korea, nuclear limitations and East Asia, please follow the links. I wasn’t eager to do it at first. In fact I spent six months working for them half time and working for the U.S. Japan Foundation half time, because we had an apartment in New York which was owned by the Foundation and a house in Connecticut that we owned. We had a pretty good life and the U.S. government was in effect asking me to jump off a cliff because this was a new organization. It didn’t exist. I was the first employee. Well, there was a so-called agreed framework between the U.S. and North Korea in 1994 whereby they agreed to freeze their nuclear weapons program and we agreed to give them in return alternative energy supplies including heavy fuel oil and two light water reactors. KEDO was set up by the U.S., South Korea and Japan to implement that agreement basically to build nuclear reactors in North Korea. At a certain point I decided it sounded like a life experience that I shouldn’t pass up. (KEDO) was an international organization. It was sort of like an international consortium and it had a commercial task to build these reactors. Yes, it was an international organization recognized by the UN, but a specialized international organization. We had no offices. We had no staff. We had no nothing. Bob Gallucci (seen right) (asked me to take the position). He negotiated the agreement…Very soon the governments of South Korea and Japan assigned two senior diplomats to this enterprise as my deputies and we begin to set up this organization. We found office space in New York and began hiring support staff and receiving people who were coming in from the three governments who worked for us. Then we had to negotiate an agreement with the North Koreans which was a more detailed version of the agreed framework from Geneva which stipulated what kind of nuclear reactors we were going to build and how we were going to build them. The (South Korean) Korean Electric Power Company, known as KEPCO became our prime contractor. We hired Duke Engineering as our technical consultants and spent the first four months negotiating an agreement with North Korea which proved to be a very arduous task and very difficult, very complicated, but fascinating because I learned something about the North Koreans and how they negotiate. First of all, their negotiators have very little room to maneuver. Everything comes from and goes back to the very top. These are people who live on the edge of crisis all the time and they’re very comfortable there. Brinkmanship is in their bones. Yet they’re not very effective negotiators. If you learn how they operate and how to be patient and don’t need an agreement within any given time schedule, you could usually do very well with them. I went to North Korea when I was with KEDO twice. Once in the fall or in the spring of ‘96 and then again in the summer of ‘97 just as I was leaving KEDO. I think there’s no question then at that point that they wanted to go through with (the Agreed Framework agreement). Well, (an inspection regime) was one of the things that we had to negotiate, but the IAEA (International Atomic Energy Agency) had been brought in as a result of the agreement in Geneva, the agreed framework. They had come in in October of ‘94 to monitor the freeze of the North Korean facilities at Yongbyon. Their inspectors were onsite. The dismantling was scheduled to take place subsequently after we had made progress in certain definitions of various stages of completion of the nuclear reactors. We had negotiated the supply agreement. We had negotiated a number of protocols supplementing the supply agreement, governing our privileges and immunities in North Korea, our specifying the site and how it was going to be developed. We’d gotten quite a ways, but we didn’t have much money because the governments had not yet appropriated large sums, so we were sort of getting by on a wish and a prayer by scraping by. We had started the task of site preparation in the North — the site was a place called Kumho, which was on the northeastern coast of North Korea — and we had taken it over. We had the presence there of the South Korean contractors were there. They had people there. We began to create basically a village, which our people lived in and worked in. Fuel deliveries were proceeding. We never had enough money for that either. The political reality is that within about a week after the U.S. and North Korea signed this agreement, the Republicans gained control of the U.S. Congress, and the conservative branch of the Republican Party hated this agreement because it was seen as basically submitting to North Korea and its forces. So, there was a strong determination from the beginning to kill this plan. The Clinton administration was not prepared frankly to invest all that much political capital in keeping it going or at least not prepared to invest much political capital in extracting money from a congressional process. So, we were on a wing and a prayer constantly in terms of our ability to finance the purchases of heavy fuel. The agreement among the three governments was that the U.S. would take care of the heavy fuel oil. 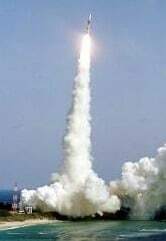 The Japanese and the South Koreans would take care of the nuclear reactor costs. (The value of the fuel oil) varied depending on what the market was doing, but it was anywhere from $60 to $100 million a year. 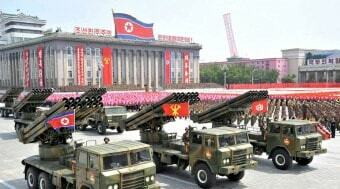 I don’t think that (the North Koreans) became too upset about (KEDO falling behind on fuel oil delivery). I mean, I think they were conscious that we were making a good faith effort to deliver on schedule and if we slipped a month or two, not a big deal. The Clinton administration until the very end didn’t seem willing to take any political risk to try to bring that resolution about, and then of course when Bush became president he was adamantly and flatly opposed to trying to do that. (Secretary Albright) didn’t really get energized on this issue until the fall of ‘98. By this time I was in Korea as ambassador when various things happened that basically called her credibility into question. She then began to be more interested in Korea. I don’t think the issue got to (President Clinton) much, but that’s no excuse. The one constructive thing that happened was the North Koreans fired a missile off over Japan and that got everybody’s attention. Then there was a suspicion that we found another nuclear related activity elsewhere in North Korea and Mrs. Albright was very embarrassed by a very hostile reception in one of the congressional committees. There was a provision for ending the sanctions, economic sanctions, establishment of diplomatic liaison officers, all sorts of stuff that the North Koreans expected we were going to move on. Now, they were their own worst enemies in many respects because we had North Korean submarines washing up on South Korean coasts. We had various incidents taking place that earned them the enmity of everyone. The most senior person I met when I was there was a deputy foreign minister who was seen by everyone as being the de facto Foreign Minister. (He had) wide views, but very narrow objectives, being the survival of the regime. The man I dealt with most was an ambassador at large in the foreign ministry who was my counterpart. [Congressional representatives] were opposed to [KEDO] whose world view was such that they considered any kind of dealing with North Korea or any other government that seemed prepared to use some form of blackmail as succumbing to that blackmail. They viewed North Korea as using their nuclear threat as blackmail against us and thought it was morally weak of us to succumb to that… I don’t think there was a strong high level of interest around the country in this. North Korea seemed a very distant threat in those days. It’s not quite so distant now. I think people are beginning to understand why it’s a cause of concern. I think first it was this question of not wanting to appear to be succumbing to blackmail. Secondly, it was the rising antipathy within the Republican Party, particularly on the conservative wing of that party, to the Clinton administration, which was seen overall as being morally bankrupt and weak. Basically almost anything that the Clinton administration proposed, these people were going to fight. After the congressional elections in ‘94 they had much more influence because they control to a very great extent the outcome of the congress. I think you have to look at what the alternatives are and those are the same alternatives we face today. The agreed framework was in effect the beginning of the first effort to try to engage with North Korea to bring them out of their isolation and to tie them more firmly into the rest of the world in the belief that that would tend to stabilize the situation. It would then acquire interest or a stake in behaving reasonably because if they didn’t they would begin losing benefits. The alternatives to that are pretty bleak. One, we can do what we periodically tried to do and that is ignore North Korea and sort of wait for it to collapse because it is obviously a pathetically weak state in many respects. The problem with that is it has not collapsed, and we should realize that as the regime senses that it might collapse, it’s going to be increasingly desperate in its behavior and its desire to attract our attention to engage with us because of things it wants and needs. 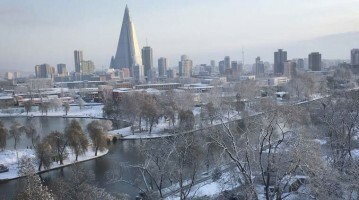 The other alterative of course is to resort to military force, and because of the proximity of Seoul and the configuration of forces along the demilitarized zone, the use of force is not a very attractive option, because the North Koreans retain the ability to do devastating damage to South Korea, particularly metropolitan Seoul. There was one powerful argument that did have an effect and that was that because of the agreed framework, what we knew North Korea could do at the site. 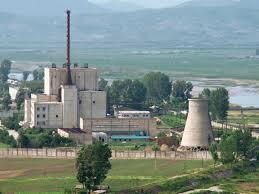 The nuclear site at Yongbyon was frozen under the agreement. We had [prevented] North Korea’s production of enough plutonium to produce almost 100 nuclear weapons. That was a considerable accomplishment.